More powerful, more smarter and the fastest ever smartphones will be here before we even know it. Motorola CEP Sanjay Jha said in his speech at the Executives Club of Chicago that a 2GHz powered smartphone running Android would be released before the end of 2010. Thats a huge jump from the present standard speeds of smartphones that run at 1GHz processor speed. 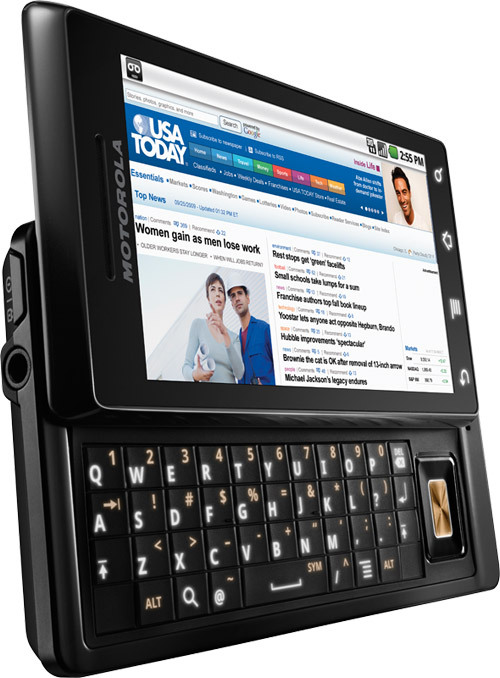 In their Q1, Motorola had shipped about 2.3 million smartphones but the CEO said that their goal was to move to about 12-14 million smartphone sales by the end of 2010. Motorola has plans to launch 20 different models this year and we have already seen 8 so far. The CEO went into details of these new fast smartphones would have. He said that these phones will have a front facing camera and would enable video conferencing just like the iPhone 4. The only chip that can run to such speeds is the ARM’s 2GHz Cortex A9 dual-core which is suspected to power the ambitious Motorola handsets. Snapdragon isn’t expected to reach 2GHz this year so chances of it being used are slim. All this speculations aside, it is a clear sign that the newer Motorola phones will pack so much power because they are destined to let users use the phone for more than just the phone. With higher processor speeds users can now may be run complex applications that were only possible on laptops earlier. It is also interesting to see Android will be a crucial game changer supporting these phones. Fast Enough? Samsung 1.2GHz Dual-Core Processor Phone! Motorola Electrify Andorid Gingerbread Phone Coming this Month!